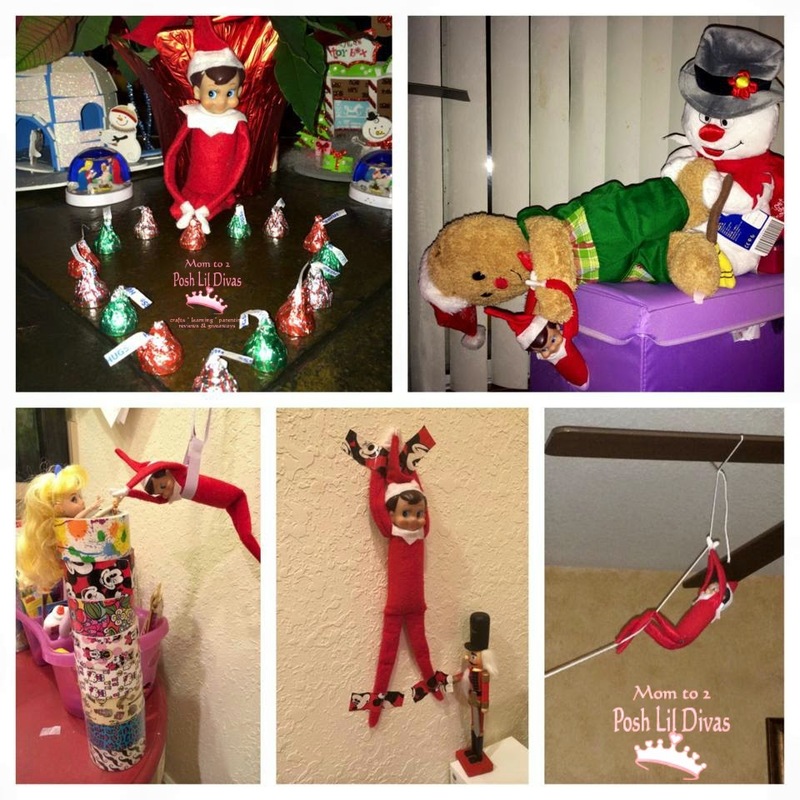 I promised photos of our 2014 elf adventures and I haven't delivered. Now that I am officially on winter break (WOOHOO!) 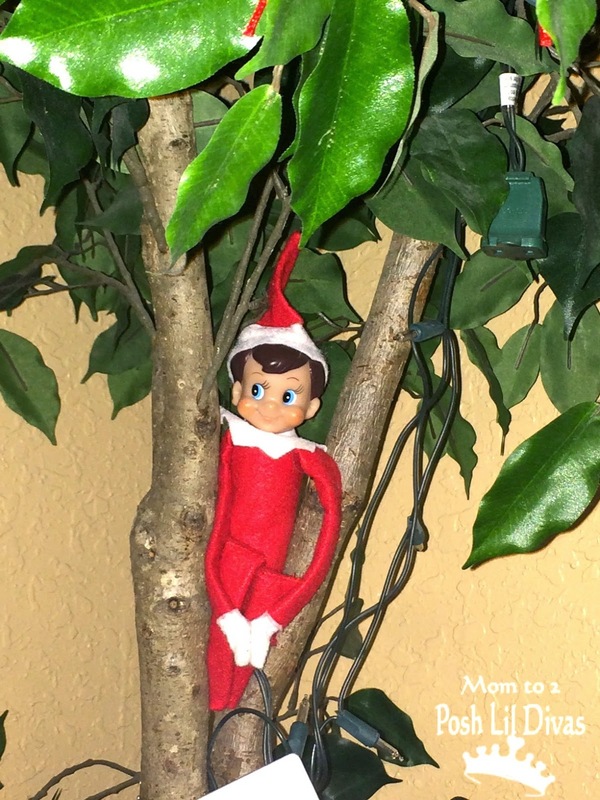 I have a moment to sit and fill you in on our recent elf escapades. Here are a few fun highlights. Though, if I am being perfectly honest - these are the only ones I got to capture with my phone the last few weeks and can share. See, no one is perfect folks - doesn't it make you smile to know other moms goof and forget things too! We are perfectly imperfect, with the best of intentions that sometimes fall a little short. Oh, well. Seems Jack got into a bit of a tight spot and couldn't get out. 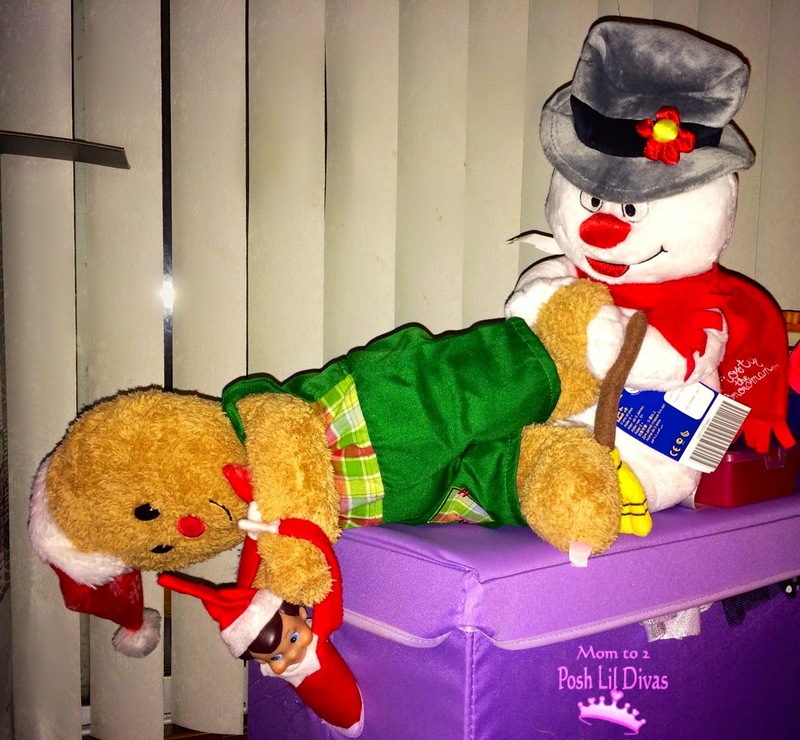 Good thing Ginger and Frosty were around to give him a helping hand. 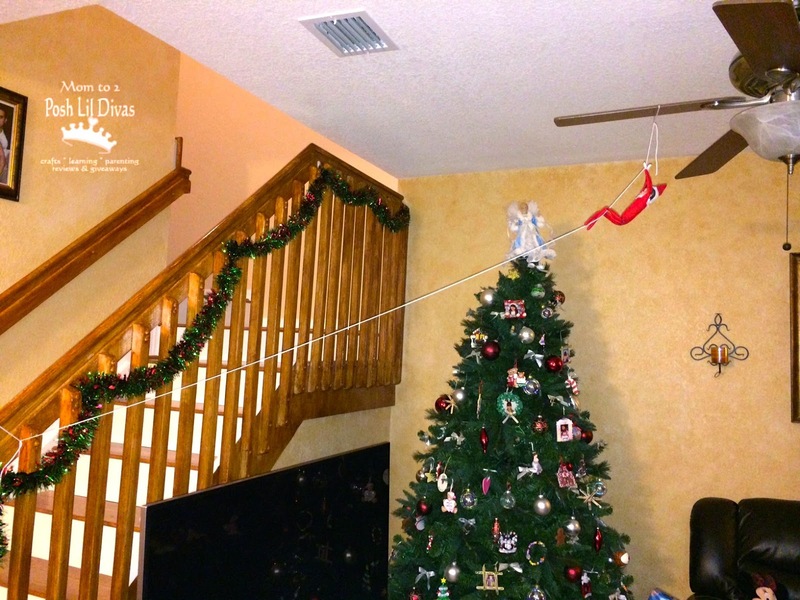 Zip-lining elf at your service! We were a little jealous of this one - it looks like so much fun. 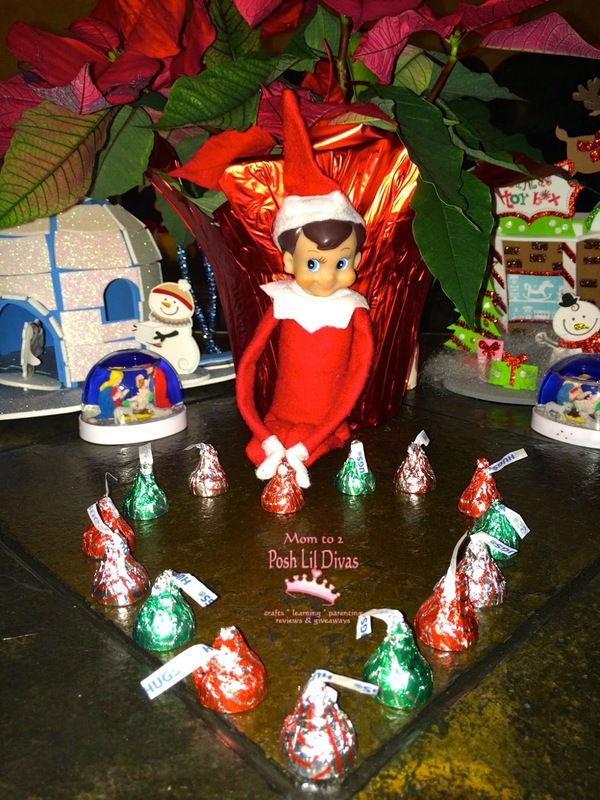 Jack surprised the girls with some hugs - Hershey's Kisses Hugs! First zip lining, now abseiling. 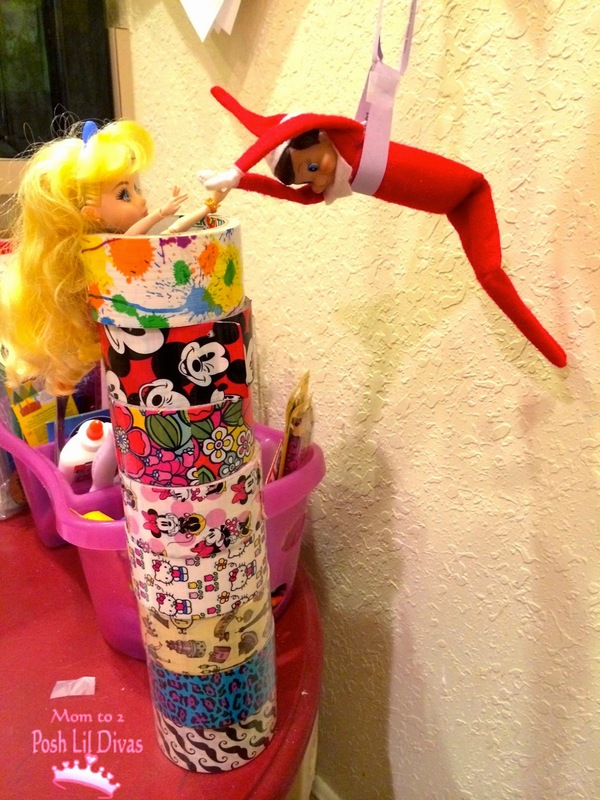 We have one adventurous elf on our hands. Thankfully, there were no dangerous mountains to scale. Just poor Goldilocks stuck in a tower of Scotch tape. I wonder how she got in there? We brought home the most adorable mini nutcracker. The Oldest Diva named him Sir Silly. Maybe she should have named him Mr. Mischief. 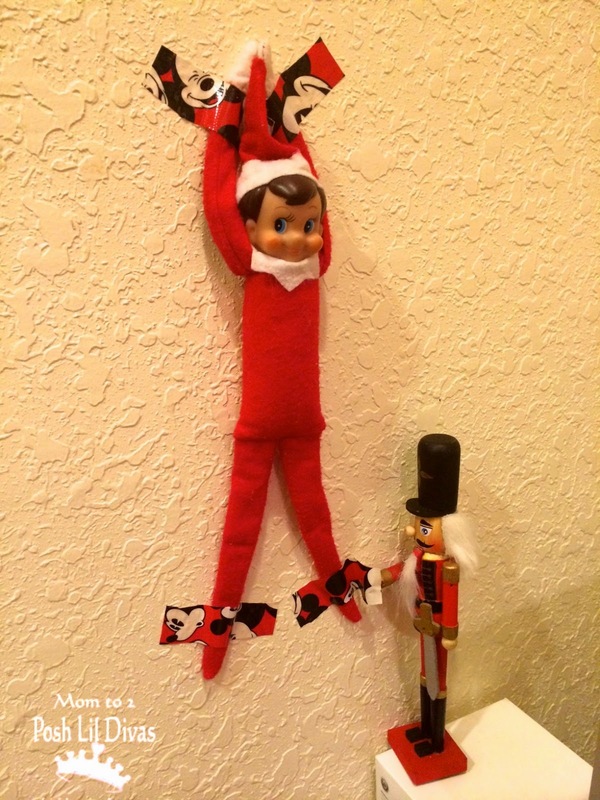 Jack must have startled Sir Silly when he came back from the North Pole. Sir Silly didn't take it to well. The Lil Divas told him to be sure to set Jack free tonight and not to strap him down again. Hope he listens to them. maybe hiding out after spending an evening strapped to the wall. I'm sure you hear this question every day too. Thankfully, Jack had the answer ready for the Lil Divas. Girls, I'm stuck & I can't get out! What is this strange see through place high up on the kitchen cabinet? The walls are slippery and I can't seem to climb out. Guess I'll have to sit and wait for my nighty dose of magic to fly out of here. 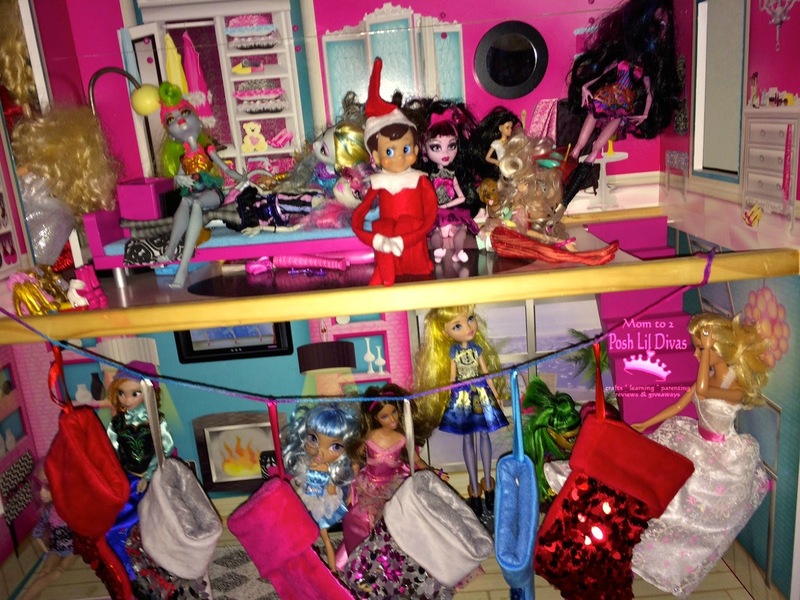 Jack made sure our American Girl stockings made it up this year. There are only a few days left until Jack returns to the North Pole. 1. They would like special permission for Jack to visit them on their birthdays. 2. 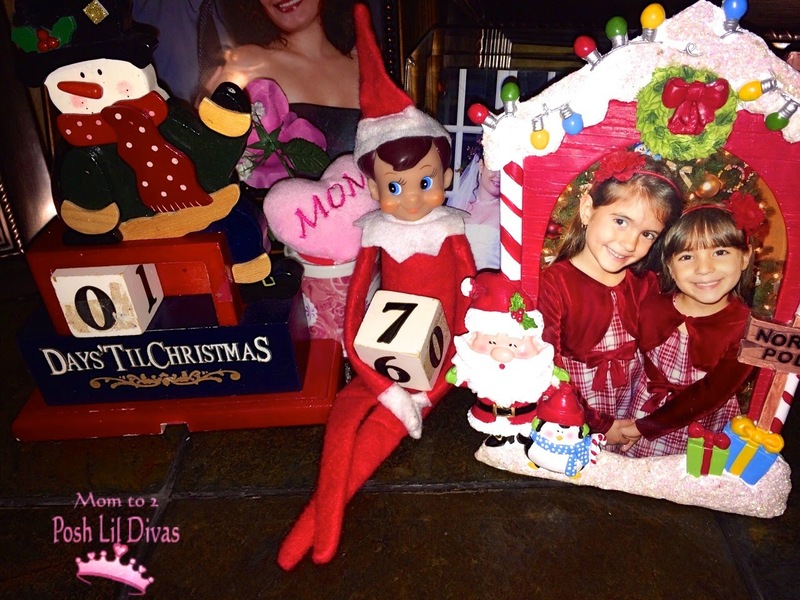 They have asked if Santa would send us a girl elf too. We haven't heard back yet from Santa on those requests. I'll be sure to share his reply once we receive it. 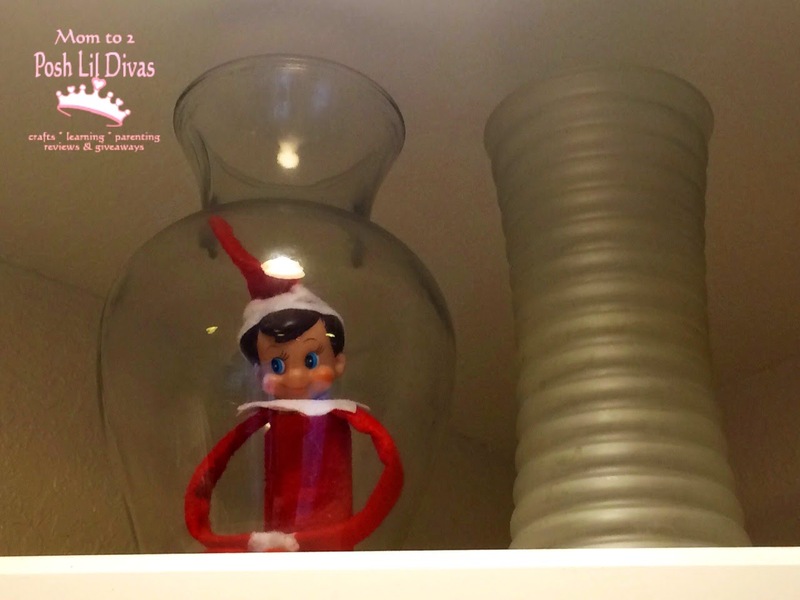 What fun or mischief has your elf been up to lately?